These projects were active in some phase of production or had festival screenings or distribution, between July 2016 and June 2017. 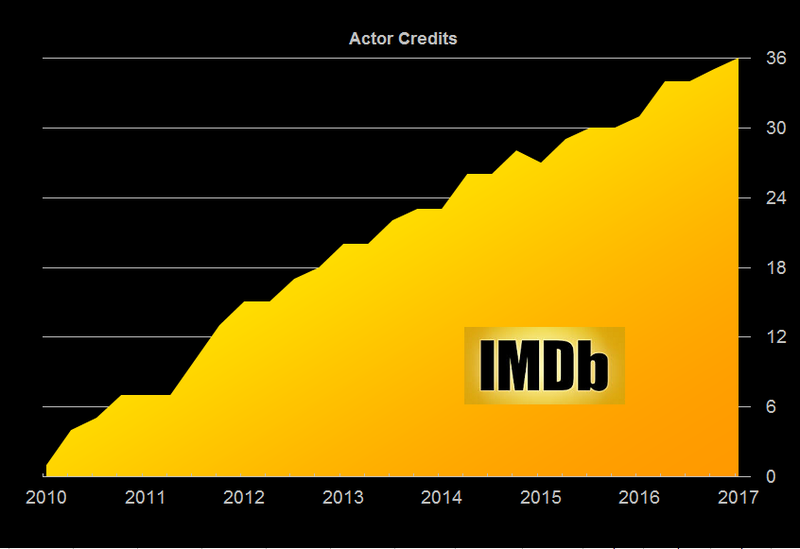 I am now up to 36 acting credits listed on the Internet Movie Database	with a handful of others in post-production. We wrapped production on the prologue episode while the pilot episode enjoyed a great year-end festival run, garnering wins for Best Cinematography, Best Directing, Best TV Horror Pilot, and even a couple Best Actor nominations for my role as the ventriloquist and voice of the puppet. Seeking executive producers for future episodes. Teaser here. I play the intense P.I. 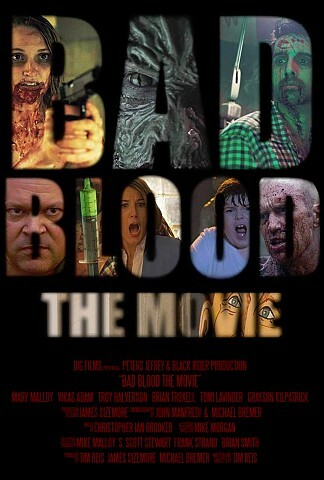 in Bad Blood: The Movie, an amphibious take on the werewolf genre. The festival run is done, with screenings in Montreal, London, Barcelona, and Washington D.C. Sweet to read "Halverson practically steals the show" in one of the reviews. 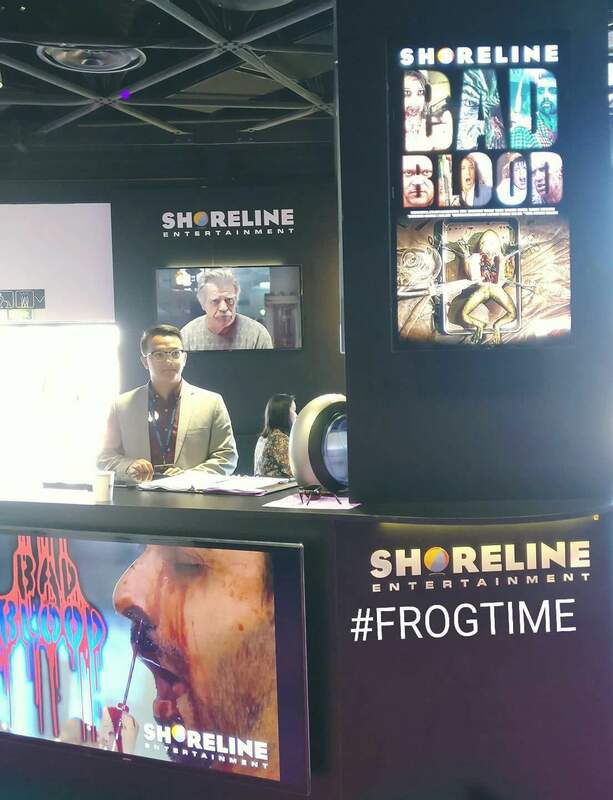 Distributor Shoreline Entertainment was promoting it at this year's Cannes Film Fest. I got to be an honest to god spaceman ― and Good Guy ― in Hope, with me playing a martyred scientist during an asteroid extinction event. In October 2016 the short surpassed 100,000 views on YouTube. It is my 35th actor credit on IMDb. A teaser was released in December for Driver, a noir series is written and directed by Damon Wood that will premiere in 2017. I have a couple sweet scenes in the pilot, pregnant with unspoken subtext, with Rhett Johnson and Mary Tabor. 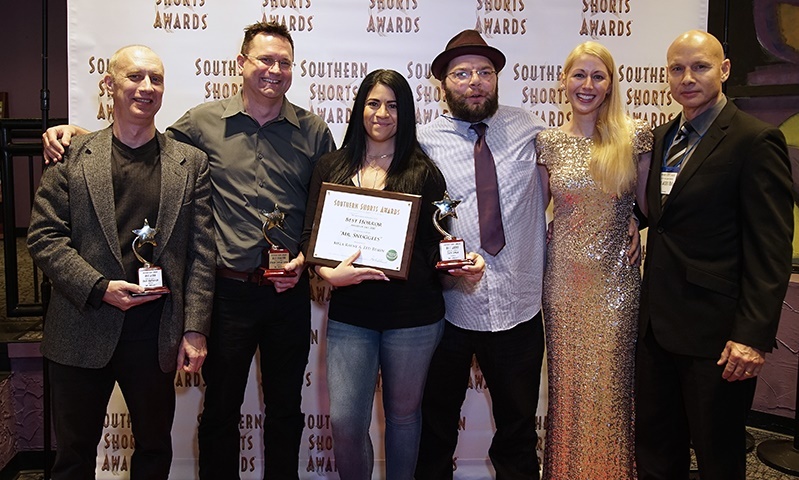 January awards from the Shorthern Shorts film festival included Best Actor win for me as the lead and bunch of excellence awards for Mr Snuggles. 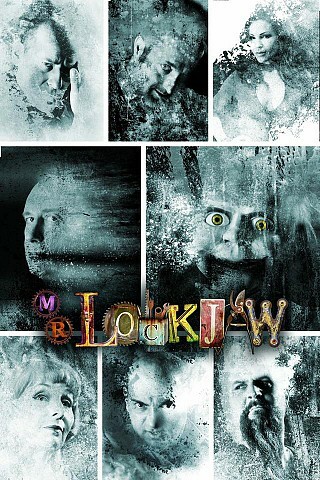 This short was the inspiration for the Mr Lockjaw series. My 33rd IMDb actor credit is Horror Hotel: The Movie, which includes the Coma Girl segment I was in. This Season 2 anthology of Horror Hotel is available on iTunes, Google Play, Amazon Prime and Vudu. Blackhats is now on Amazon Prime after a limited theatrical release, hitting #1 in per-screen gross for one week in 2015. I had a scene playing a homicidal suicide attempt, opposite lead Errol Sadler. The premiere of Restricted Diet was in August 2016 at the Something Wicked Film Festival. I play a despicably pickey eater in it, with a Bela Lagosi accent. Opposite the lovely Pamela Ricardo.